If you’re the one looking for some best and free online Services for sending and receiving faxes, then you must check this article because in this article. Some of the best online service which you can use in daily life personally and professionally. Below are the some of the best ways using which you can send fax online for free. It’s another amazing service using which you can send and receive faxes through your email, the web, or smart phone. Using this website you can send 100 free faxes per month and receive 200 for free. Also compatible with almost every type of file with easy integration with Microsoft Office and Outlook. You might also love to try Popfax for free, provides you with tailored and low cost solutions for your faxmailing campaigns, improving your communications and saving your money. There is no need to install any software, one feature very good about this service is that they keep your document for the next thirty days. This is one of the best services for sending fax online. Using this you get secure, affordable and convenient Internet fax. RingCentral Fax allows users to send 150 free faxes per month, also receive faxes from any type of fax machine. It’s also compatible with PC and Mac. NextivaFax is another cool website for sending fax using which you can send 500 free faxes per month, making it ideal for small business use. Also, they provide a variety of customization features. One thing which is very good about this service is that pricing on this website is very low as compared to other Fax web services. FaxFreedom by Freedom Voice come with amazing feature i.e. You can take your pick of available 800 numbers and vanity toll free numbers with included minutes, auto attendant, call forwarding, voicemail & more. This is the only feature which makes this service different from others. 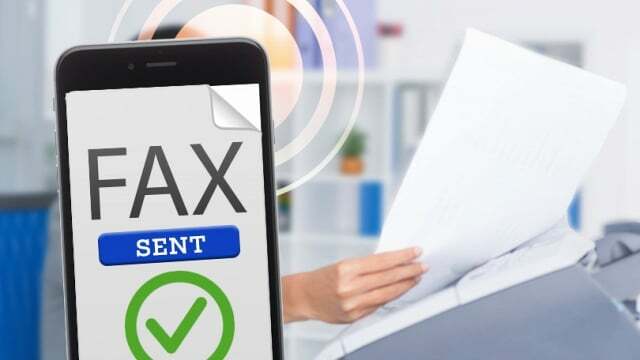 Send2Fax is an online fax machine provides fax solutions for individuals and businesses through the seamless integration of facsimile technology. Using this service you can send and receive fax documents with an Internet-connected PC using an email account. Fax file Formats Supported : .DOC, .DOCX, or .PDF file. Advertisement is shown only on the cover page. Another cool web service to Send Free Fax Online to the U.S. And Canada for free. You can simply add the sender, enter your recipient’s information and Fax number. You can also create Ad-Free cover page. Basically this web service is not a free service to send a fax online. But it allows a 30 day free trial. Also you can send fax online 50 pages and receiving up to 130 pages at no charge. You can both send and receive faxes via email. You might also love to try this service which lets you send fax, virtually in every part of world without no cost. You can also get additional benefits from this service by becoming a member of this service. Want to send free fax online try FaxFree which supports Microsoft Office files, image files, text files, pdf files and printer file format. You can use this service to send Fax across the world just by using Mail. Another cool option to send faxes with same offers and options like above mentioned but with different limits. With this service you can send a maximum of 5 pages and a max of 2 times a day. And the bonus is that there’s no ads on the cover page. scanR does much more than package a lightly enhanced photo into a PDF. Just scan your documents using your mobile device, convert them into digital files and then send it to your ScanR email addresses. Now from here it can be sent out as a fax. With this free online fax service from TrustFax to Send and Receive Fax as Emails with Your Own Toll Free Number.